Technology is constantly changing, and so is your business. 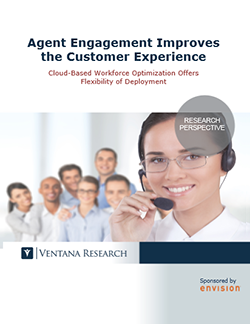 Stay ahead of the customer service curve with this white paper based on Ventana Research benchmark data. 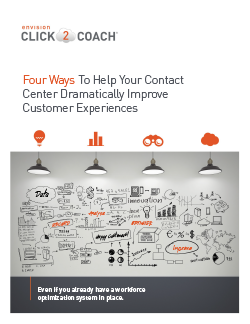 The contact center is the epicenter of customer experience in the modern-day organization. Within its parameters lies immense potential for businesses to make a lasting impact on customers. In this white paper, trusted advisor Mark Edelman lays out four ways you can improve member experience within your credit union. Beginning a customer experience project to improve customer journey can be a daunting task. Use this white paper to learn the technologies and process you can implement to get started. 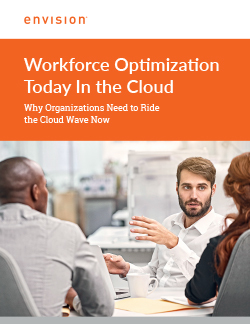 In this white paper, we explore the benefits of using a cloud based workforce optimization solution versus having a solution deployed on-premise. Technology, usage, flexibility and total cost of ownership including ongoing upgrades are all covered. 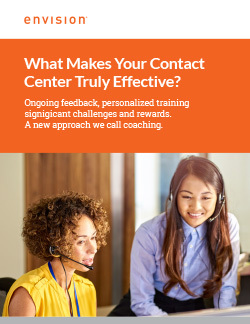 Building a coaching program will help improve agent effectiveness, engagement and customer satisfaction. Is your coaching program in need of a tune up and some fresh ideas? Read this white paper to make sure your program is successful. 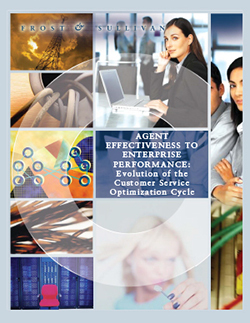 The Fastest Route to Agent and Contact Center Effectiveness. While training has always been an effective tool, enhancing training with coaching achieves much greater results. Click2Coach is so easy to learn and use, you can achieve performance boosts almost immediately. 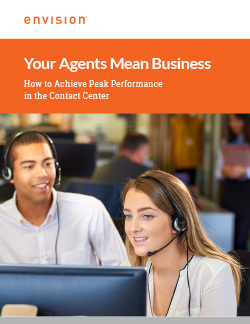 Agents effectiveness and performance can make a huge difference in the customer experience and operating results of your company. This white paper outlines some of the methods used to improve these areas and results other companies have seen. 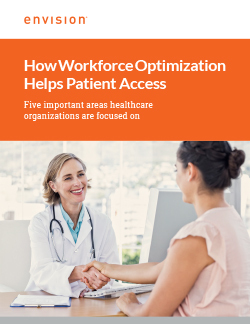 Workforce optimization can help patient access in many ways, such as, registration accuracy, pre-op approvals, insurance coding accuracy, compliance, amongst others. Read more in this white paper. Aligning people, process and technology is challenging. 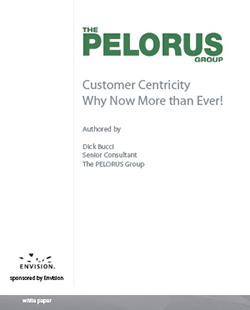 Learn how a customer centricity focus can help with this challenge and help you deliver a compelling customer experience that will lead to customer loyalty and financial performance. 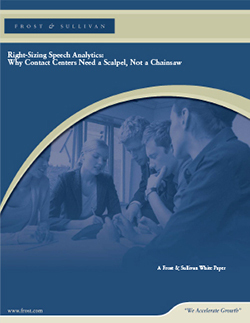 Informative white paper authored by Frost & Sullivan discusses how a right sized speech analytics approach can give organizations valuable insight into customer experience without breaking the bank. Workforce optimization is not just about coaching and motivating agents, it's now reaching the entire enterprise which has impact on product and services, including service levels in the contact center. 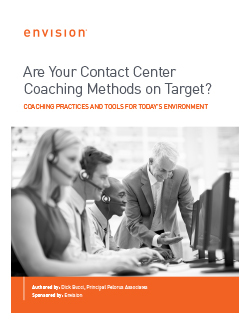 In this white paper by Frost and Sullivan, the capabilities of WFO beyond the contact center are explored.